VATICAN CITY (CNS) — When it comes to salvation, God does not seek any form of compensation and offers it freely to those in need of his love, Pope Francis said. A Christian who complains of not receiving a reward for going to Mass every Sunday and fulfilling certain obligations “doesn’t understand the gratuity of salvation,” the pope said Nov. 7 in his homily at Mass in the Domus Sanctae Marthae. “He thinks salvation is the fruit of ‘I pay and you save me. I pay with this, with this, with this.’ No, salvation is free and if you do not enter in this dynamic of gratuity, you don’t understand anything,” he said. The pope reflected on the day’s Gospel reading from St. Luke, in which Jesus recounts the parable of the banquet of a rich man who, after having his invitation spurned by his guests, invites “the poor and the crippled, the blind and the lame” to enjoy his feast. 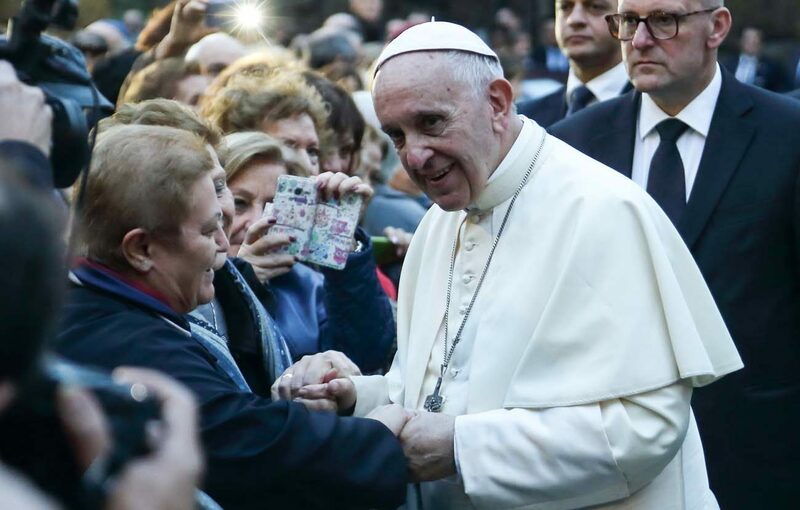 Those who rejected the rich man’s invitation, the pope said, were “consumed by their own interests” and did not understand the generosity of the invitation. “If the gratuitousness of God’s invitation isn’t understood, nothing is understood. God’s initiative is always free. But what must you pay to go to this banquet?” the pope asked. “The entry ticket is to be sick, to be poor, to be a sinner. These things allow you to enter, this is the entry ticket: to be needy in both body and soul. It’s for those in need of care, healing, in need of love,” he said.